Stress has become one of the main health problems in the world. This is also a reason for a lot of other health conditions. There are many reasons why we go through stressful moment partially for our own faults. As people become more busy and complex in minds, there are more chances for you to become a victim in this condition. It is important to eliminate this condition at the beginning without letting it make you totally feeble in mind, body and soul. Here are some tips that will be helpful for you to get over this situation. You should have the notion of what makes you fall into stress all the time. Take some time from your day like few minutes to identify the things, people, activities that make you feel worried and thinking. It is important to identify them and try to be away from all such circumstances. If you can practice this each day you would be a successful person in eliminating this crisis. One reason why we feel stressful is that we think of the little things that went wrong. If you can overcome this situation it will be a great help to reduce the risk of feeling stressful. Because once you worry about the little things you won’t have a clear mind about what to do in the future tasks. Forgetting about it and thinking about the future would make things easier for you and everyone around you. So, try to be positive about what went wrong and take courage to work better in the future and make sure the same mistake won’t repeat. By this you can be free from stress and also you can work with new energy. There are many workshops and programs to eliminate stress from your life. If you really find it hard to overcome the situation then you can apart of these programs. Smooth music and different technique are used to soothe your mind from past pains and feelings that hurt you and worry you so much. Most of these programs are conducted by a well trained psychologist. You can also go to a psychologist privately and seek for help in your condition. Spend time with your family, friends and live the moment. Don’t always go on working and studying. You will miss the best moment in your life to spend time with your loved ones. Once in a while go out with your family, friends and relations on a trip, shopping and to eat. This may strengthen the bonds within the family and also will relax your mind. Many just run behind money and business to increase profits when they don’t recognize what they have left behind. Balance your life. This is the best cure for all health problems. Post-traumatic stress can be experienced by anyone who has had a disturbing past experience in their life. What could be considered a disturbing experience could differ from person to person, but generally includes death of a loved one, an accident, an assault or a kidnapping, or exposure to war, to name a few. If you, or a loved one seems to be suffering from such a disorder it is better to receive help and get on a path to recovery immediately. Here’s how. 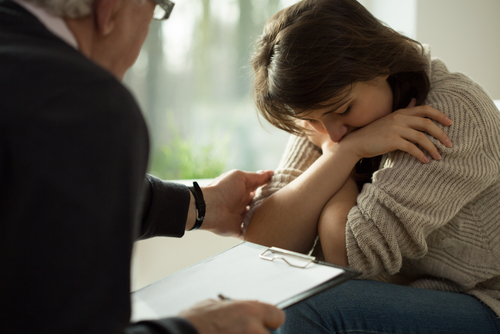 If you believe you are suffering from PTSD then you should first and foremost talk to an addiction psychologist Brisbane. By getting professional help, you will be able to get on the path of recovery quicker. An anxiety psychologist will listen to what you have to say and will gauge the exact situation of your condition and will provide you with the right treatment, as well as give you great tips on how to deal with PTSD in your daily lie. Engaging in some sort of physical activity, and making it part of your daily routine, can greatly help a person with PTSD. By focusing on the activity that is being done, a person will be able to momentarily ignore any anxiety felt. Since engaging in a sport, or any physical activity demands you to focus all your energy as well as your thoughts on that activity, it will become helpful for a person with PTSD to keep his mind off of troubling memories. Educate yourself as much as possible on PTSD, either by talking to a professional or reading up on it. You can also keep track of any new treatment that is published, by regularly reading medical magazines. Another way to educate yourself is to talk to other people who are experiencing the same disorder as you, either through an online forum or at group therapy.